"I know some of you have said already that it is being looked into, I wanted to just confirm that for you so you guys have a blue [staff] post to refer to. Right now all I can say is that we are aware of this issue and are currently investigating this with Microsoft. Once we have some more details I'll be sure to let you know," said EA_Rick. A snapshot of the issue was taken and can be found here. 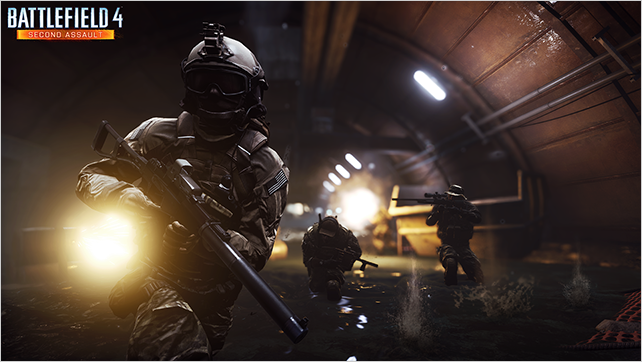 Battlefield 4: Second Assault allows access to a total of 4 re-mastered maps from Battlefield 3, including fan-favorites such as Operation Metro and Gulf of Oman. The maps, now enhanced the power of Frostbite 3, create a more realistic experience. For example, the 'levolution' event on Gulf of Oman will cause a sand storm to occur making for a more challenging battle! "Second Assault contains four immortal, fan-favorite maps from Battlefield 3; Operation Firestorm, Caspian Border, Gulf of Oman and of course Operation Metro. Each map has been redesigned thanks to the power of Frostbite 3 and is now more stunning than ever. Battlefield 4 veterans will recognize the surroundings, but also notice various changes – big and small – in map layout." Did you purchase Battlefield 4 Premium for the Xbox One? Are you frustrated because the content isn't available? Let us know in the comments below.